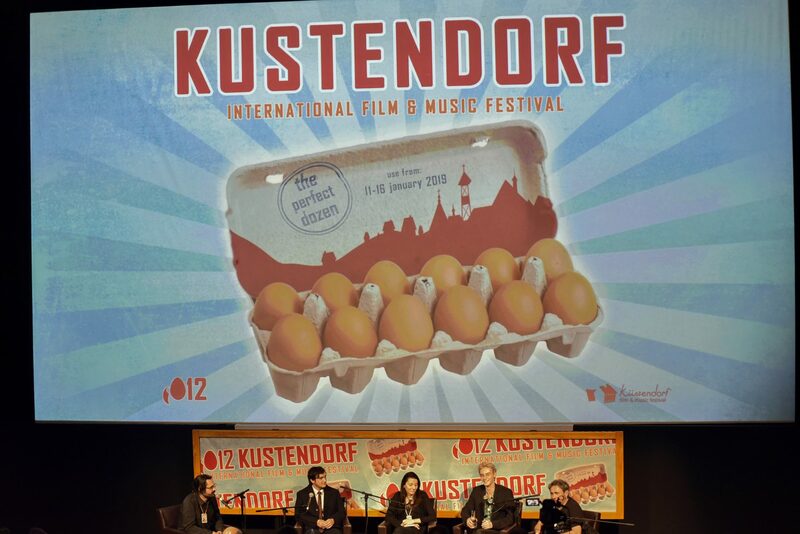 The second evening of the 12th Kustendorf brought us Happy as Lazzaro by the Italian director and screenwriter Alice Rohrwacher. The film was awarded for Best Script at last year’s Cannes Film Festival. The film screening was followed by a workshop with the film’s leading actors ‒ Adriano Tardiolo, Luca Chikovani and Sergi Lopez. In an exchange with the audience, the Spanish actor Sergi Lopez ‒ who speaks Italian in the film ‒ pinpointed the significance of films such as Happy as Lazzaro, which take on the issues of modern day problems, particularly global capitalism. Sergi emphasized that this film stands out for its compassion and gentleness towards the weak and the oppressed. He added that actors often act as intermediaries between the director’s important ideas and the people, so they have the responsibility to rightfully transmit the message. Young actors Adriano Tardiolo and Luca Chikovani, both first-time actors, spoke about the director’s credits who, as Tardiolo stressed, embarked on a journey to portray the people who are gradually dying out ‒ workers and farmers, people connected to the land and people who survive solely on their own hard work.